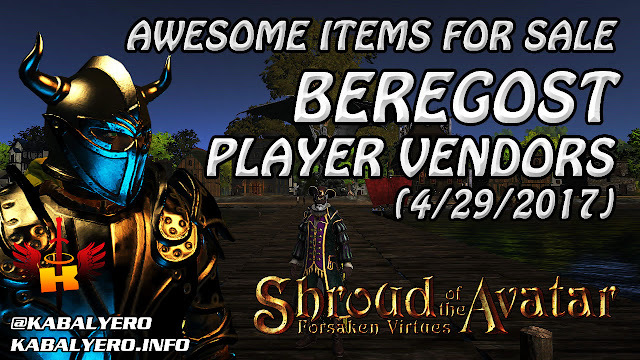 It's the last day of April, what better way to end the month with a Market Watch video of Beregost, a Player Owned Town next to Kingsport. Together with my own Player Vendor, I found a total of 8 Player Vendors selling awesome items in Beregost. To see what are sold in these Player Vendors, simply watch the video below.